Question: I asked on the Rstudio discussion site: Why does Markdown to HTML insert <br/> on new lines? Great question. Given that Markdown just passes on HTML code, I guess, the question is how to produce HTML tables that do what you want. Where you want control, I imagine HTML would be a better option than trying to use the Github-enhanced Markdown syntax for tables. That said, I'm a little fuzzy on the details. I'm currently preparing a presentation for Melbourne R Users on reproducible data analysis; as part of that I want to better understand table creation options. So I might write a separate post about tables in the near future. Another question, how to center graphs? I haven't felt the need to do that for simple blog posts. For now, if I wanted that level of control, I'd probably switch to LaTeX. That said, it's interesting to think how far you can push Markdown and HTML. It seems like fig.pos might only work for LaTeX at present (I haven't tried: http://yihui.name/knitr/options ). 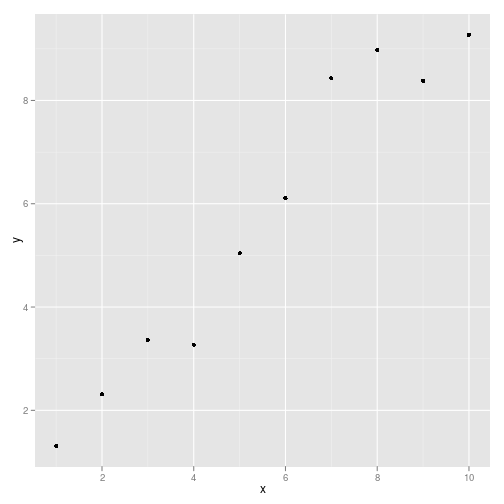 I'd look into putting div or table html tags around the R code chunk and restrict output to one plot per code chunk. What's the main difference between this package and knitr? Also, I already used the brew package to successfully generate automated reports in Latex (I used loops to open more than 200 images and apply the same template to each one with a few lines of code). Is there an option to use internal loops to generate the same as I did with Latex, but with HTML code? 1. The most important features are in knitr. knitr does the conversion from R Markdown to Markdown. R Studio provides a pleasant user interface and a particular Github-enabled version of a Markdown to HTML converter. 2. Yes you can print from loops in knitr. 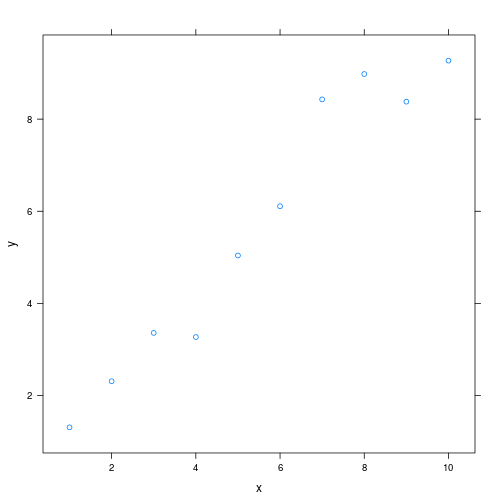 For example, this code produces a set of 10 plots. Thanks for the answer, now I got it (I guess). There's only one more thing. With brew, you can loop text with R code. Can you do that with Markdown and knitr? I guess for the moment you can't. Is there any easier way to get it? Jeremy, outstanding post. as for tables, is there any way to control borders and lines? what i am looking for is to have model results automatically populating tables that I can then just copy and paste into manuscripts. the closer they might be to publication quality the better. I've achieved a lot of control over table borders and lines with manual functions in R that produce LaTeX with Sweave. Very good, helpful post. I wrote up some notes about using xtable to generate HTML tables and styling them using custom CSS, which might address some of the questions in the comments here. Thanks so much. That's really useful. Jeromy do you know how can I enforce the html page created to support multilingual characters (utf-8 encoding), under windows? Thank you. No, not really. perhaps it is a question for Stack Overflow. Just a few thoughts: Rstudio lets you control the file encoding and permits UTF-8. If you know what needs to appear in your HTML file, you could use a sed command to insert it over the HTML, or you could use the markdown package to have more control over markdown to HTML conversion. I got to have everything work except that my graphics don't look as good as yours on blogspot. Your graphics are nicely blurly pixelized, but mine isn't. Also, do you upload the R markdowned document? I just copy and paste the produced html other than html tag and /html tag on the blogger as a new post. Is that the workflow you are using? With regards to images, I'm not sure, there are certainly graphics options on the knitr site. I also use the imgur option above for the final version. With regards to workflows, for this post I just copied the HTML content between BODY tags into my HTML editor on blogspot. Going forward I'll probably use a script using the markdown package which allows me to only output that part of the HTML file by default. Thank you ver much. You answered everythign I wanted to know! I am going to look into more details of my own question based on your suggestion and let you know! Since you're an R, vim, and markdown guy -- do you know how to get R and markdown syntax highligthing in VIM for a .Rmd file? As much as I miss Vim key bindings, I've generally been using R Studio when working with R Markdown. and the latest release (at time of posting) of the Vim-r-plugin mentions knitr support. How is it possible to suppress the print outputs when loading a library? I have tried echo=FALSE, results='hide', warning=FALSE. However, I am still getting the library messages. Ahh, perfect. And, thanks for the fast reply! Thanks for a great post. Could you show how to adjust the size of an image? My image was many times larger than I wanted it to be. Thank you for your suggestion. I was referring to the external image. Will try the IMG tag. Dear Jeromy, I really appreciated this post. You explained things clearly and concisely: thank you! What I found was that if I changed the word "basicconsole" at line 54, this (and a bunch of other duplicated label errors) went away and I could knit things beautifully. Any words of wisdom on that? I agree that you can't duplicate code chunk labels. The gist works fine for me. I imagine the issue is that there are several R Markdown code blocks which are tab indented. They look like R code chunks, except they are only displayed as code. I included these so that they are designed to only display in the resulting markdown file. Perhaps at some point, the tabs were removed from your version of the r markdown file, and code that was meant to be displayed as markdown code began to be read as actual R code chunks. Great post, and many thanks for sharing your code. One question. What does the "" command produce and why did you use it? Thanks in advance. I assume you are talking about the triple backtick ``` . It is used as a delimiter for R code blocks in R Markdown files. RStudio makes it easy to insert with an "insert code chunk" menu item and shortcut key. Thank you, this post was great! I'm trying to print a short 20-row dataframe about 6 columns wide. It prints fine in the r console, but only prints two columns at a time via rmd. I tried out.width and fig.width with no luck. Is this what you guys are talking about with xtable()? Got it, thanks! The syntax was simpler than I thought. I was being stubborn and wanting to print a data frame the regular way. What's your coding process like? I like to write my chunks and run them on the console as I go, then knit it every few chunks. I'm not caching because I know one day it will come back and bite me, so knitting is a bit clunky. Just wondering if you have a best practice flow / cadence when writing your scripts. It sounds like I do something similar. I've been using R Studio for the last year or so. I'll typically have a first chunk that imports all the libraries and prepares the data for analysis. Thus, I can run that to get the workspace into a state that I can start running analyses. I also try to minimise dependencies between other chunks. And yes, I generally do a lot of sending code from the script editor to the console and knitting the whole lot from time to time. downloaded as raw, and opened in RStudio 0.97 with knitr 0.9. On "Knit HTML" I get "duplicated label 'basicconsole'". by two tabs to show the code, and the actual chunk you want to be executed. I updated the gist to remove the duplicate labels. The gist hopefully works again. However, knitr seems to process these tab indented code blocks. So, perhaps this is just the new behaviour. In Sweave, the behaviour was to only process R Code chunks if the start and end symbols occur at the start of the new lines. Perhaps this new behaviour is intended. Note the <br/> problem has gone in the latest version of markdown. Thanks for a great post! I like your method for displaying tables---a simple, explicit method. Since first reading this post, however, I learned of pander's table functions. Have you tried it? For my own work and in the interest of being able to advise grad students (in epidemiology), who may be even a little less computer savvy than me, I am trying to find straightforward literate programming/reproducible research techniques within RStudio and understand where there is overlap in the various packages and related tools. I'll really appreciate any further comments and posts you can add. Thanks for sharing. I'll have to check out pander. will produce a .png named "ChunkName.png"
Any ideas how to override the defaults? Hi, why do my box plots look so very different between the console in R studio and the html in knitr.